Collins Booksellers - Astral Travel by Nicole Harrington, 9781519955722. Buy this book online. 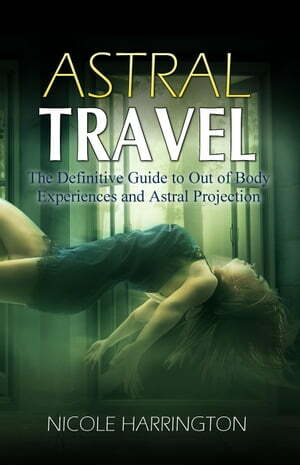 For the first time, two books, Astral Projection by Nicole Harrington and Astral Projection by Joy Martel, are being offered in one collection. Discover how to tap into a new metaphysical realm with your body's inner power, and change your life forever. We have all heard stories about people who have mysteriously left their bodies and gone on journeys to faraway lands. Strangely these stories have not just appeared in modern times but have been occurring throughout history for thousands of years. People who have achieved Astral Projection often say that the experience resembled leaving their bodies and existing in a different dimension, often referred to as the Astral Plane. For years, I have studied historical texts in order to hone my techniques and skills in astral travel. There is no greater thrill than being able to hand this knowledge about astral projection down to those who are looking to achieve out of body experiences. These experiences can be life-changing, opening a person up to look at the world in a whole new light. Come and learn the secret techniques needed for these out of body experiences in Astral Projection. Do you feel that you are not living up to your potential? Would you like to feel more connected with your body and your mind? Imagine how much better life would become if you could only unlock your true potential and harness the power that resides within you. As a young adult, I believed that no matter how hard I tried, how hard I applied myself--whether in work, school, or family life--I wasn't reaching my full potential. I felt that I could achieve so much more! The problem was I couldn't figure out how to unlock my true potential.